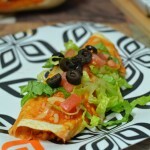 Since I have become obsessed with enchiladas over the past few months, I have been trying a variety of new recipes trying to find the perfect one. I usually just do simple easy recipes that I have all the ingredients for but spotted these Enchiladas last week and thought I’d give it a try. 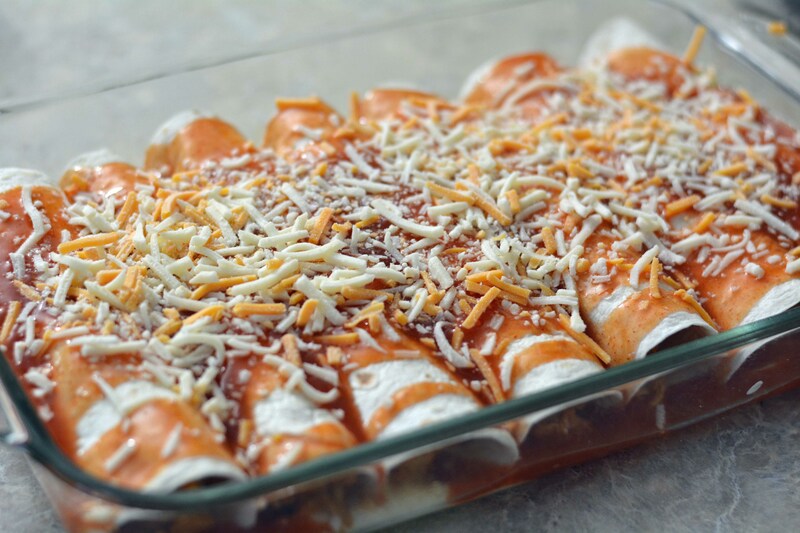 After a trip to the grocery store to pick up some cream of chicken soup and green onions I started on what is now my favorite Enchilada recipe. Place the chicken in a large pot and add water to cover. Bring to a boil over high heat, then reduce the heat to medium-low, cover, and simmer until the chicken pieces are no longer pink, about 15-20 minutes. Shred the chicken by placing two forks back to back and pulling meat apart (or use a food processor). 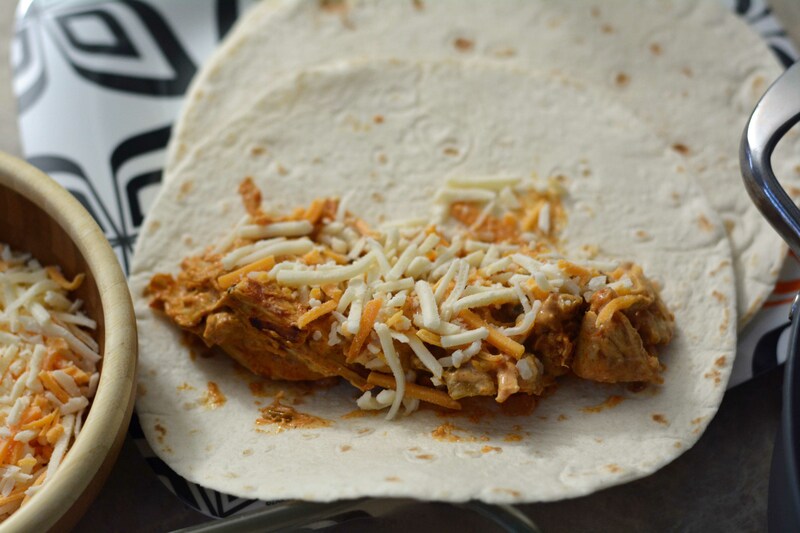 Set the shredded chicken aside. In a saucepan combine the cream of chicken soup, sour cream, and chili powder, bring to a simmer over low heat, stirring occasionally, then turn off the heat and cover to keep warm. Heat the butter in a skillet over medium heat. Add the onion and stir until the onion has softened, about 5 minutes. Add the shredded chicken, chopped green chilies, taco seasoning, half of the chopped green onion, and water. Allow to simmer for 10 minutes. Fill each tortilla with chicken mixture. 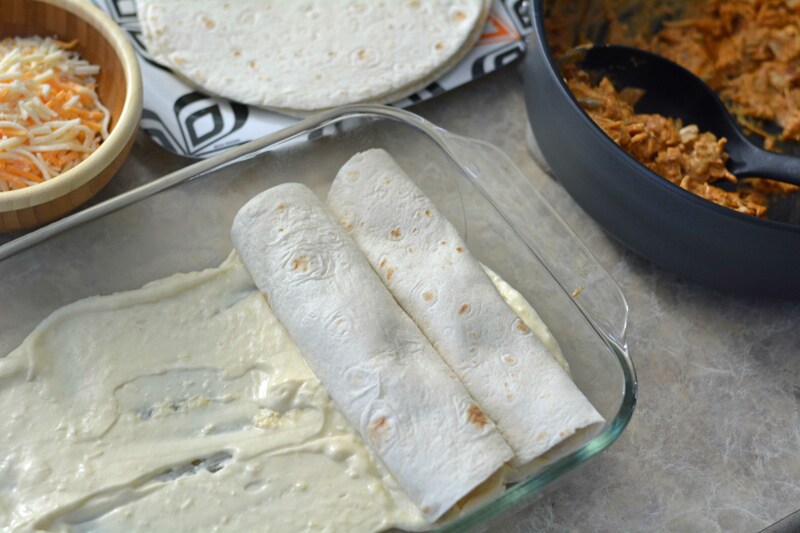 Sprinkle Cheddar cheese over the chicken filling before folding the tortillas, save half of the shredded cheese for topping the enchiladas. 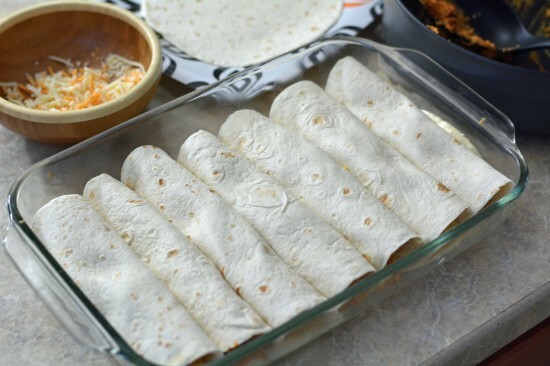 Fold tortillas over the filling and place seam-side down in the baking dish. 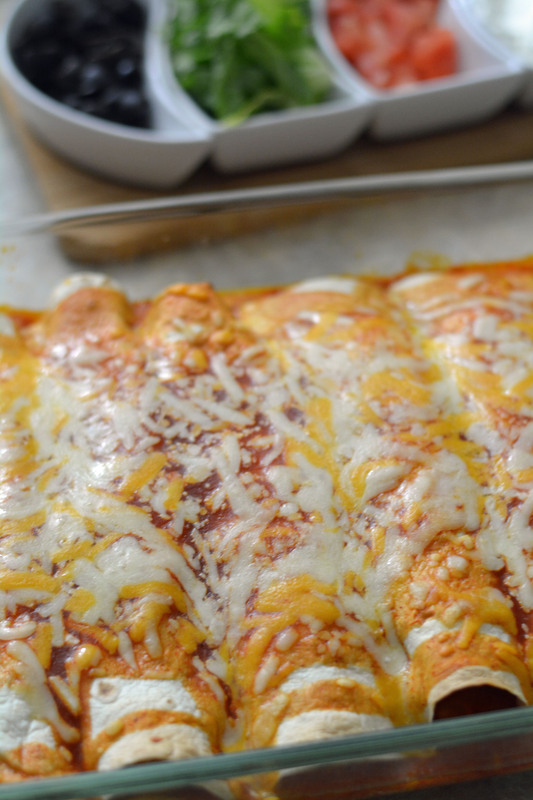 Pour enchilada sauce evenly over the enchiladas. Cover with the remaining 1 1/2 cups of Cheddar cheese. Bake until filling is heated through and the cheese is melted, about 25 minutes. 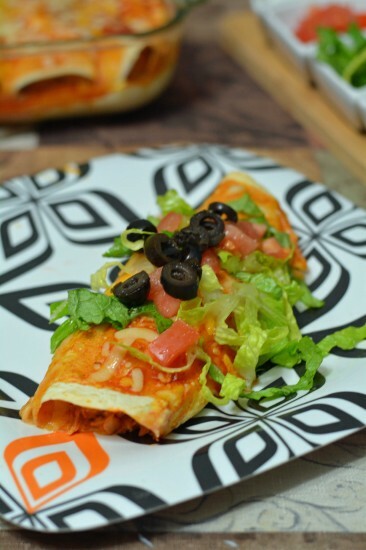 The enchiladas were a huge hit and although this recipe takes a little bit longer than most, the hour it took to make these Enchiladas is definitely worth it.